Are you one of those dads who can’t say no to your five years old child when he asks, “Dad, can you please let me play baby panda on your laptop? Or Please let me watch my birthday party photos on your laptop? If yes, then don’t blame the poor child when he, with his chubby little hands, erases your thesis manuscript carelessly resting around on your desktop screen or when he deletes your favorite game in which you have painstakingly reached level 30! Reckless Mom and Dads like you with little kids often encounter such accidents. Nevertheless, don’t be sad or agitated. We can help you recover your files without any damage or loss. 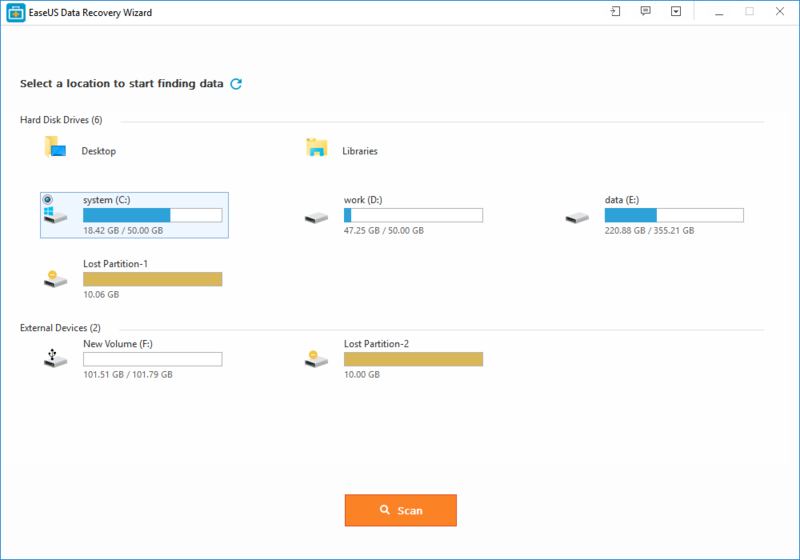 EaseUD Data Recovery Software is one of such few Softwares for recycle bin recovery that can recover any deleted file f. No matter how long ago it was deleted (with certain conditions). Before expounding on this awesome software, let me first inform you that whatever data you delete from your computer, whether accidentally or intentionally, the data remains stored in your computer somewhere. To put it straightforwardly, once you click the delete button, the data goes into hiding. Now unless and until you or some spy, or your wife use a recovery software, the files will remain hidden. So this is good news for some and bad news for many who think that they have saved their necks by deleting their secret photos and videos! EaseUS Data Recovery Software is one of the best free data recovery software out there which is used by more than 6 million users. It offers a free trial, and its price is also very reasonable. In fact, if you download it right now, you would be fortunate enough to get a 10% discount on the actual price. So don’t miss this chance. EaseUS Data Recovery Software works like magic and can retrieve lost data in a few minutes. Offering separate versions for Windows and Mac, this software is very simple to install without any complex add-ons. Within a minute you can have it working on your computer with a very user-friendly interface. No matter wherever you are or what language you speak, whether it is English, Polish, Dutch, Italian, Chinese, Swedish, Portuguese; EaseUS Data Recovery Software has the option of more than 15 different languages. It can run two kinds of scans, one is quick, and the other one is a detailed scan. Quick scans usually take around 5 minutes during which it recovers many files, whereas a deep scan takes more time to do the digging which is quite obvious. A deep scan can recover all the files ever deleted on your system. Even with a 7% of scanning with a deep scan, you can recover more than a million files. There is the option of pausing during the scans which usually doesn’t hinder with the software’s recovery process in most of the cases. During the pause, you can check out the recovered files and do some asserting. In short, EaseUS is a hard drive recovery software which is a must-have software for everyone, especially for parents like me who often let their little ones use their special gadgets and then cry later when the little devils mess up with their precious data!